In the first years of a child’s life, parents face a myriad of challenges. Not only must they take care of them everyday, but parents also try hard to ensure a healthy and bright future for their child. Some conditions, such as Autism, are not obvious to many parents during the first few years. Every child develops at a different pace. How can parents know if something is not right—in time to benefit from early intervention? Autism awareness has grown tremendously in recent years. Today, one in 68 children in the U.S. is diagnosed with Autism Spectrum Disorder (ASD). Currently the average age of diagnosis is between four and five years old. For the past 10 years, the Olga Tennison Autism Research Centre (OTARC) in Melbourne, Australia has worked to uncover the very early signs of ASD. Their long-term research study gathered comprehensive data from nurses trained to observe behaviors in very young children aged between 12 - 24 months. OTARC then developed a predictive algorithm for ASD with an accuracy rate of 81%—the most accurate tool to date for early detection. When their research study started, nurses recorded and stored their observations on paper. Later, OTARC recognized that a platform such as Salesforce could advance their project and outreach exponentially. The organization implemented the Salesforce Platform platform and added tools from Sales Cloud and Marketing Cloud to collect and analyze data, and maintain ongoing communications with nurses and at-risk families. Their program was so successful that OTARC wanted to expand their efforts and make early detection available to children everywhere. They envisioned a mobile app called ASDetect that would gather input from parents and sync with their research engine on Salesforce. Any parent worldwide could use the ASDetect app to track observations of their own child from the age of 12 months and up. The app would provide appropriate feedback and guidance. Every year, Salesforce dedicates 1% of its employee’s time for nonprofit initiatives. When the opportunity arose to build a pro bono app for OTARC, a flood of Salesforce developers applied to be on for the project team. The resulting core team spanned three continents. Using a highly agile development process and collaborating via Chatter, the team built ASDetect in only 8 weeks. When it came to choosing how to build and run their ASD app, the Heroku platform’s scalability allowed OTARC to distribute their app globally so that any number of families could use it. The development team approached the app’s architecture using the NIBS reference model. They built native mobile apps running on iOS and Android, with video assets hosted on Amazon S3. As for languages, the team used Node.js for the middleware component due to its simplicity, and Objective C and Java for the front-end native apps. For testing, they created a simple Angular/Ionic app. Data processing was built using Node.js REST services connected to Heroku Postgres for storage. Heroku Add-ons include Papertrail for log management and alerts, Heroku Scheduler for token cleanup, and Heroku Connect to funnel data into OTARC’s Salesforce backend in order to manage family data and communications. 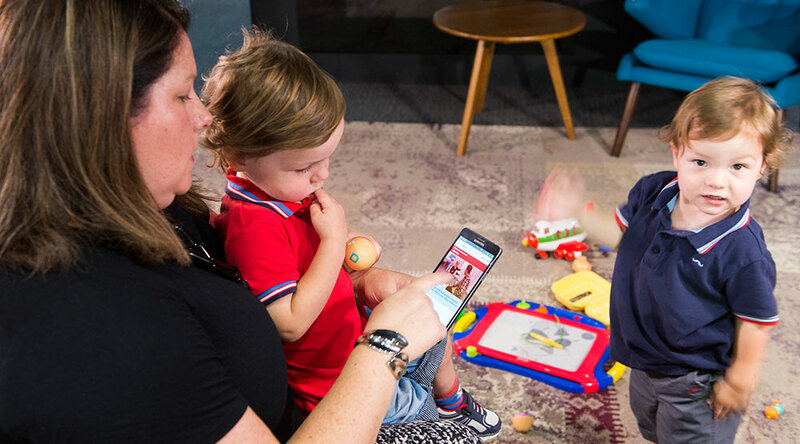 Launched in February 2016, the ASDetect app has the potential to significantly change the lives of at-risk children developing Autism and their families around the world. The scalability of the Heroku platform has allowed OTARC to offer their early detection capabilities to anyone who needs them, in particular in geographies where Autism resources are scarce. Connecting families to the right resources locally will enable critical early intervention services to help make the future much brighter for children with ASD. ASDetect is currently available for iOS and Android devices. Through the app, parents learn to identify warning signs, such as if their child repeatedly does not make consistent eye contact, smile, share toys, play social games, point to indicate interest, or respond to their name. Video footage from clinical assessments demonstrates the behavior of children in a normal development range compared to those who fall on the autism spectrum. The app walks parents through questions about their child’s behavior and syncs the data with OTARC’s research stored in Salesforce. The app then indicates to parents whether or not their child may be at risk for autism. Importantly, the app then guides at-risk families with ongoing communications that cover next steps, resources, and critical support services that will help them navigate their journey ahead. Are you building a health monitoring app? OTARC built their app on Heroku in order to seamlessly scale their support for families worldwide. For more information, contact Heroku today. The Olga Tennison Autism Research Centre (OTARC) is Australia's first center dedicated to research on Autism Spectrum Disorders. It provides a vehicle for research activities, evidence-based intervention programs, training opportunities and collaboration between community services and research centers/universities involved in autism research both in Australia and overseas. OTARC is situated in the School of Psychology and Public Health within the College of Science, Health and Engineering (SHE) at La Trobe University in Melbourne, Australia. For more information, visit latrobe.edu.au/otarc.